Our Father in heaven Hallowed be Your Name ‘EL SHADDAI Almighty God Gen. 17:1 Thy Kingdom come. Thy will be done. On earth as it is in Heaven. May your Spirit of truth keep our hearts soft and pliable. As your truth continues to release us may it in turn release others, for your Namesake. We come to your table Father God through Jesus and ask, give us today our daily bread. Hold us strong and steadfast that we may glorify your name. May we be structured and commanded by your law and statutes Father God and ever attentive to your voice. Father God we ask that we may enter your throne room of mercy through Jesus, we ask that you would cleanse our hearts and purify us from any unrighteousness. We thank you for your direction and wisdom during the times in which we are living. Lord where stealing and plagiarism may be taking place throughout this nation we command it, in the Name of Jesus to be ousted. From grass roots to high rises and everywhere in between. We pray your light would shine through the public, private, business and voluntary sectors and that any misdemeanours would be ironed out with no crease left untouched. We thank you Father that you have given us your authority to pray and declare your justice and legislation within this land, to claim back territory. We thank you for the Spirit led Christians in leadership within these sectors that you have strategically put in place for such a time as this. We pray for their protection and the shed blood of the lamb over them and their families. We pray for their voices to echo across this land, for each to proclaim your honesty and your integrity throughout our Nation. 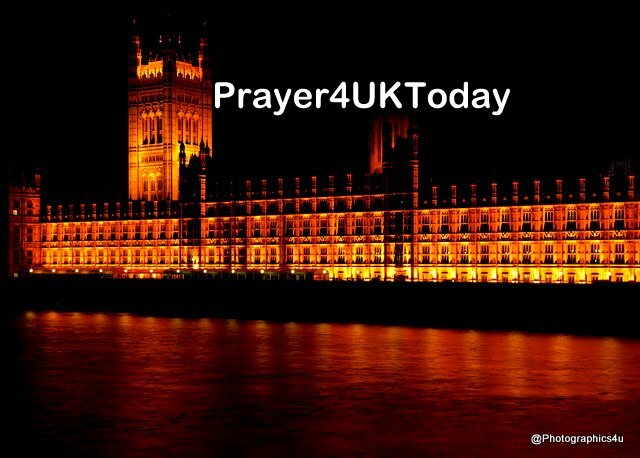 We pray for safety on our streets and a Devine cleansing, we bless those who steal and pray for them to realise the error of their ways, may they come to know you, may they store up true riches and sow back into your Kindom the riches that are rightfully yours. Our Father in heaven Hallowed be Your Name ‘EL ‘ELYON God Most High Gen. 14:18-22 Thy Kingdom come. Thy will be done. On earth as it is in Heaven. We thank You for every righteous inheritance within the House of Lords, for the men and women who have stood for Kingdom principles through the years and for the anchor it has been to the nation in past seasons, and we repent where they have acted, spoken or voted against the principles and values of Your word. As Your Ecclesia we come into agreement with Your word in Matthew 16:19, and we bind every spirit seeking to block, confuse, seduce, control or manipulate and we decree and declare over the Repeal Bill and all related legislation, God given sovereignty and order of governmental authority for this nation, judicial, legislative, physical, spiritual, political and economic, will be established according to Your plan and purpose, and we decree a shift, in the Name of Jesus. Now, we call Your people to a new level of trust, that praise and worship will arise across this land, silencing the enemy and changing the atmosphere, that the Presence of God will rest upon this nation. Praise God for answered prayer! The medical team are stopping anti-biotics from today. Their aim is to strengthen Arlene’s lungs through physiotherapy. Arlene is alert and trying to talk when the tracheostomy is closed. Please continue to pray for Arlene and the medical staff to be covered by the Blood of Jesus and for her lungs to get stronger. Thank you for praying. Our Father in heaven Hallowed be Your Name Y@HOVAH RAPHA LORD our Healer Exo. 15:26 Thy Kingdom come. Thy will be done. On earth as it is in Heaven. Lord we declare You desire people will be whole in body, soul and spirit. We thank You for Your goodness and Your kindness and for Your Spirit of counsel; we thank You, for the revelation of inner healing and the release of supernatural healing which have come to Your people in recent years. In the Name of Jesus, we speak the revelation of the power of Your love to this nation, that wounds will be healed, hearts transformed, and wholeness restored. We declare Your church will step into the fullness of the power available to them, releasing Your life, through words and action, overwhelming every spirit of hopelessness, death and despair. We speak healing to children, youth and adults; we speak healing to those damaged through trauma or abuse, through addictions or through abandonment, we speak wholeness and healing to those struggling with grief, loss, anxiety or stress, we speak peace and wholeness to those involved in the emergency services or the military. We decree this land will move into a new season of health and we declare a shift in the Name of Jesus. Now, we decree and declare, those suffering from mental health issues will be supported and cared for, that programmes will be funded, research developed, and recovery found. Lord we declare grace and strength to those involved in social transformation of communities and estates, and all those working to bring hope and healing. We declare to them fresh levels of Your compassion, kindness and wisdom. In the Name of Jesus, we declare resources will come to them, buildings will be released, and funding partnerships formed. Thank you for all your prayers. Arlene continues to be weened from the ventilator. Now the physio's are doing more work to stngthen her muscles. Please continue to pray for Arlene and the medical staff to be covered by the Blood of Jesus and ministerig angels to continue to pritect Arlene. Thank you to all those who have submitted prayers for publishing. Please continue to submit prayers as the Holy Spirit directs you. Father God we ask through Jesus that we may enter your throne room of grace. We confess that in word, thought and deed we have fallen short and damaged your likeness, that in many ways we have humanly misrepresented you. Merciful Father forgive our foolish ways, cleanse and renew us by your Spirit, lead us into truth and light. Break the deception of the enemy, lift the veil and revive our land. We recognise the parallels between 2 Corinthians 3:14-18 and our unbelieving nation today, Lord there is a veil of deception over our land, from the highlands to the lowlands of our country thousands are being deceived. Father God it is your will that none shall perish and that all should come to full repentance. Help us Lord to pray your will over our land, Protect us from the deception of the enemy, help us as your earthly body to stand firm on your promises. We proclaim that where the Spirit of the Lord is there is freedom. In the name of Jesus we speak the Spirit of freedom over our streets, into our communities, from pre-schools to nursing homes. Over all ethnicities and all social and economic backgrounds, over all places of work, rest and play. May your will be done. The medical staff continue to ween Arlene from the ventilator. They managed a total of 5 hours. They are trying to get her to talk with a cap over the trachea. She manages to mouth the words but no sound! Please continue to pray a covering of the Blood of Jesus over Arlene and the medical team. Thank you for praying. prayers that I can publish. The Holy Spirit will guide you to do this. Many thanks. Our Father in heaven Hallowed be Your Name Y@HOVAH RAPHA LORD our Healer Ex. 15:26 Thy Kingdom come. Thy will be done. On earth as it is in Heaven. We thank You for Your desire this nation to be healthy in body, mind and spirit. So, in the Name of Jesus, we declare a new season of health will come upon this land. We speak to the National Health Service, that in this season, Government, Trusts, managers and medical staff will work together, co-operating and stewarding resources well, that new medical and financial strategies will be found, facilitating Your purpose and Your priority. In the Name of Jesus, we come into agreement with Your word in Proverbs 16:24; “pleasant words are like a honeycomb, sweet and delightful to the soul and healing to the body” and we decree a new thankfulness for the NHS will be released within our nation, and we speak encouragement, strength, job satisfaction and honour to all those who work there, that a new atmosphere of peace, in all its fullness will overwhelm every negative atmosphere, in Jesus name. Now, we acknowledge all healing comes from You, and we stand as Your people in this nation, and we declare an end to the flu epidemic, that a turning will take place, the number affected reduced and hospital resources eased, in Jesus Name. Today they have had the ventilator off for a total of 5 hours. Arlene coped well. Praise God!Tomorrow they hope to have her off the ventilator for 3 hours at a time and they plan to block the vent so Arlene can talk.